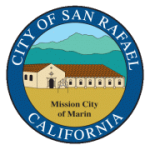 The City of San Rafael has recently recognized our hard work in our on-going efforts to reduce waste and increase recycling. We have been featured as The City of San Rafael Business Spotlight. Click here to read the great article on their website! In the article it mentions our staff loyalty. However, to us this is one of the the very special aspects of Delicious! Catering and deserves more detail. A respectable well-run company attracts good hard-working people. Co-owner, Teresa Hammond, is a great example of this fidelity and has been with Delicious for 35 years. Other members of the longevity team are Eileen Lang, controller/office manager, for 31 years; Lara Gremmels, event specialist, for 16 years, and Leigh Rafkin, event specialist, for 9 years. We also have many kitchen and event staff that have been with us for over 10 years. Longevity like this is hard to find in the food industry! We appreciate all the heart and hard work the entire team continues to put into make Delicious! Catering a successful San Rafael business.